A sturdy, high quality, injection moulded plastic bathboard that has a thicker than standard plywood section at 24mm for extra strength. It is wider than average and features a textured area for additional safety. 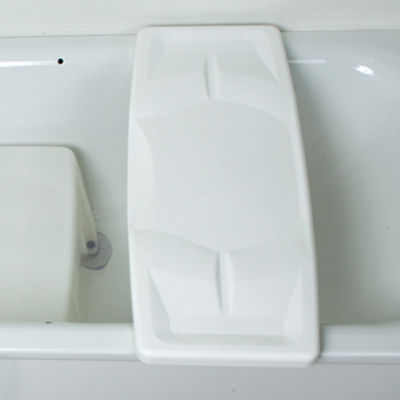 The bathboard itself is smooth for ease of transfer and there are four adjustable pillars featuring rubber grooved caps for increased grip that secure to the sides of the bath. It is easy to attach by simply moving along the bath and tightening at the width required.